Here’s an encouraging update from the National Association of State Foresters (NASF) on the status of FY19 federal funding for forests, via the U.S. Forest Service, including urban and community forestry (UFC). This is the funding that critically supports statewide UCF efforts such as those of the NYSDEC UCF program. Support for UCF nationally is up $1 million from FY18, a validation of Congress’s support for programs like our state’s. The full press release follows. Council members: let’s continue to raise UCF awareness among our representatives at every level as work begins on advocating for federal funding for FY2020. A glimpse into upcoming urban forestry research: Why have a tiny percentage of ash trees survived EAB? How can LIDAR be used to improve urban forest management? How do mycorrhizae help young trees access soil moisture? Why do seemingly healthy trees fail, unpredictably impacting power lines, and how can better failure models be developed? TREE Fund raises these funds through its annual Tour des Trees epic bike ride. It’s not too late to register to ride in the 2019 Tour des Trees or to sponsor a rider. This year’s ride is in Kentucky and Tennessee, Sept 16-20. Residential yards comprise most land and green space across cities. Despite yards being ubiquitous, little comprehensive information exists on how vegetation varies between front and backyards. This hinders our ability to optimize greening interventions on private urban land. We devised an accurate GIS algorithm to locate and classify front and backyards within residential landscapes. 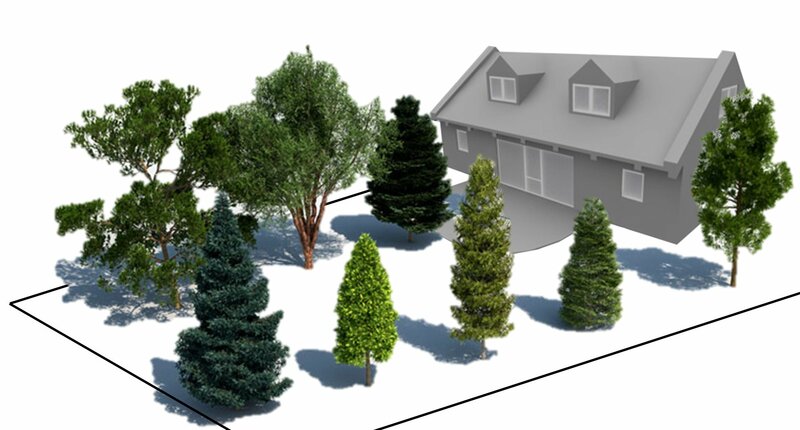 By applying this method to the greater Boston area, we measured vegetation structure (i.e., canopy cover, height and volume) of front and backyards with LiDAR and multispectral imagery. We further investigated relationships between urban form, architectural style, socio-economics, and the structure of front and backyard vegetation across Boston’s residential landscapes. The next in a series of i-Tree workshops co-presented by the Council and New York State Arborists will be March 19, 2019 in Manhasset from 9:00 am to 3:00 pm. “Trees, Cities, and Benefits: i-Tree Benefits Calculator Workshop” full program here. Some factual information for this post is excerpted from Mr. Drabek’s obituary, written by Dale Anderson for The Buffalo News. Ed Drabek leaves a legacy of nearly 60 years of service to Buffalo’s urban forest and community and to our wider field of urban forestry. Drabek joined the Buffalo Parks Department Forestry Division 1962 as assistant city forester and was promoted to city forester in 1968. In the early years, his career was consumed by managing the ravages of Dutch elm disease, removing elms and beginning to restock the Buffalo city forest with a wider variety of urban-tolerant species. It’s estimated that Drabek oversaw the removal of about 95,000 mature elms, but then supervised the planting of 75,000 trees—with sustainable biodiversity in mind. 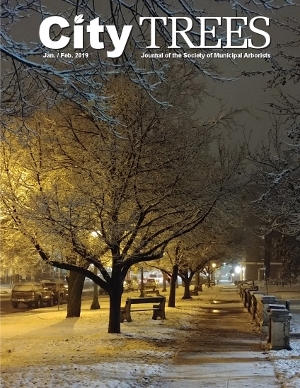 Mike DeMarco took these ethereal photos while checking on young trees after work; one of them appeared on the cover (below) of City Trees, the magazine of the Society of Municipal Arborists. Michael J. (Mike) DeMarco is a City of Watertown Planner through the Office of Planning & Community Development. Mike is also a Council Board Member, an ISA Certified Arborist, and a 2017 Municipal Forestry Institute (MFI) graduate. These stunning winter scenes from his Instagram page prompted us to ask him about Watertown’s Washington Street Arboretum, soon to be renamed the Downtown Arboretum. VALIDATE YOUR PEERS OPPORTUNITY! The deadline for ISA Awards has been extended to March 4th. 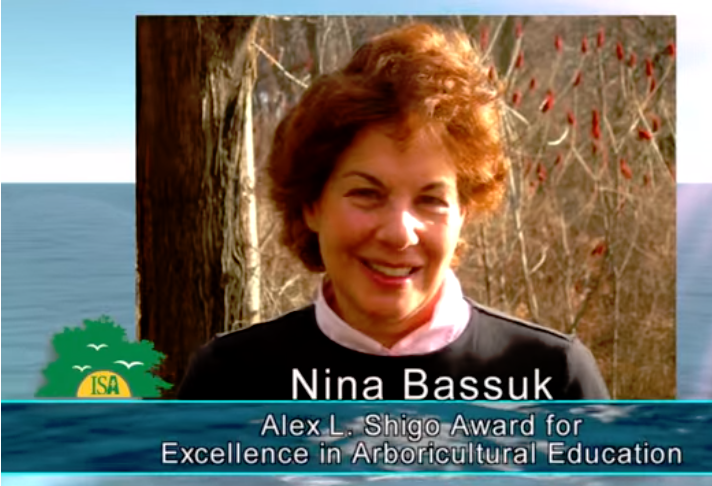 The categories are many and varied, and recognize excellence in arboriculture and urban forestry. 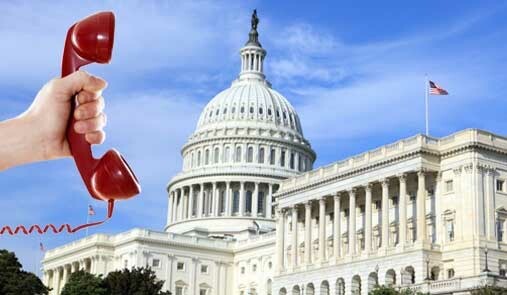 Many require that nominees be ISA members, but not all do. Gloria Van Duyne recently became the new NYSDEC Urban and Community Forestry Program Director. We asked Gloria to share a little about herself, including her extensive experience within DEC. I was hired in 2005 by Mary Kramarchyk in DEC’s Urban and Community Forestry Program to develop web content and outreach materials. Most recently, I have been the DEC Division of Lands and Forests’ Web and Communications Coordinator, and I have authored several articles in DEC’s Conservationist magazine. Before coming to DEC, I was the Executive Director at the Landis Arboretum in Esperance, NY. I’ve also worked for The Nature Conservancy in the Delaware Bayshore and for New York Parks and Conservation Association (precursor to Parks and Trails New York), and I’ve volunteered for a variety of organizations. I was the editor of the Taking Root newsletter the last few years it was in print. I have a Master’s degree from Antioch New England in Natural Resource Management and Not-for-Profit Administration.